Sabra has announced the launch of Sabra Spreads, a line of refrigerated sandwich spreads made with hummus. The condiment, which comes in a squeezable bottle comes in three flavors: Garlic Herb, Honey Mustard and Sea Salt & Cracked Pepper. 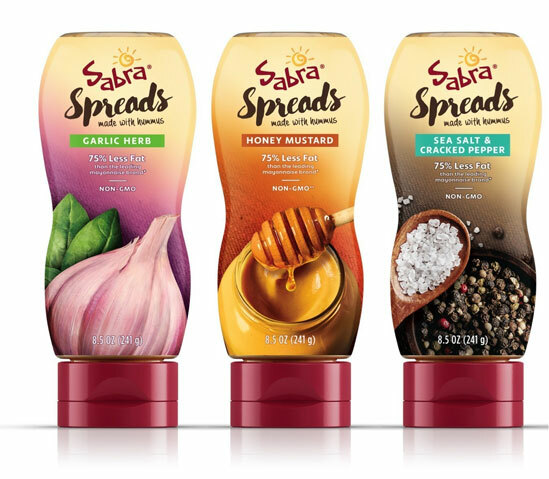 Sabra Spreads will launch nationwide beginning September 1st (with limited retail availability late summer) and will be available in the refrigerated deli section of grocery stores and supermarkets. 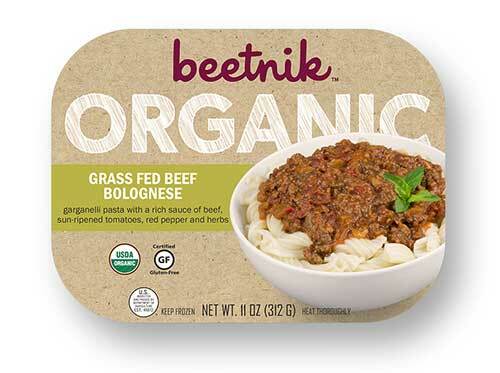 All three products are kosher, gluten free, and non-GMO. The suggested retail price is $3.99 per bottle. Nut-butter maker Justin's has introduced the first extension of its Snack Pack product line. 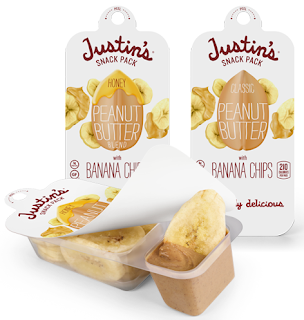 Justin's Peanut Butter and Banana Chip Snack Pack comes in two flavors: Classic Peanut Butter + Banana Chips and Honey Peanut Butter + Banana Chips. One side of each pack features Justin's Peanut Butter and the other organic banana chips. Available exclusively at Target for $1.99, the gluten-free snack contains 5-6 grams of protein, 3 grams of fiber and over 200 milligrams of potassium, all for just 200-210 calories per serving. 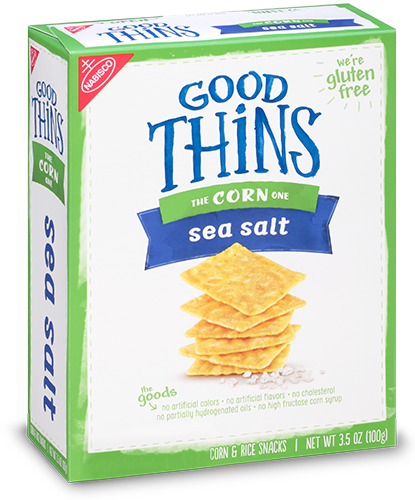 Nabisco has added to its line of Good Thins crackers with the addition of a sea salt variety made with corn masa flour. My son spotted several frozen entrees from Beetnik Foods in the gluten-free frozen aisle of the ShopRite in Cherry Hill, including Grass-Fed Beef Bolognese and Chicken Cacciatore. All of the meals are gluten free and organic. Iron Hill Brewery & Restaurant opened this week in Huntingdon Valley (785 Huntingdon Pike, 610-602-9255). Like its sister locations through Pennsylvania, New Jersey and Delaware, the new location offers gluten-free menus for adults and kids. Mission BBQ recently opened its first Lehigh Valley location in Whitehall (1421 Grape St., 484-408-0325). The gluten-free menu includes ribs and meats, sides and salads. MOM's Organic Market in Cherry Hill (1631 N. Kings Hwy. ), the company's first location in New Jersey, is slated to open August 26. The Greene Turtle, the Maryland-based sports bar/restaurant with Delaware locations in Dover, Lewes, Newark and Rehoboth Beach is expanding into Pennsylvania later this year with a Pennsylvania outpost in North Wales (1100 Bethlehem Pike). In addition, another First State outpost in Newark (425 Stanton Christiana Rd.) is set to come online in the fall. The chain has updated its gluten-free menu to include burger buns. On the other hand, two gluten-free-friendly restaurants have closed in Newark: Soffritto Italian Grill and Bugaboo Creek Steakhouse. Also recently closed in Cherry Hill and Marlton are the 1000 Degrees pizza shops, which offered gluten-free pizza.